Today I had the opportunity to speak about place and placemaking at City Hall along with Jeff Chase, a Senior Planner at the City of Edmonton working on CITYlab. You may also know him as co-organizer of #yegsnowfight! The City of Edmonton’s Sustainable Development department has organized a few lunch & learn events for Edmonton’s Business Revitalization Zones (BRZs) and for the April event they wanted to talk about ways to increase vibrancy and create social space. They asked Jeff and I to speak about that. “What is placemaking? Placemaking is about animating and using spaces in our cities to connect people. From art installations, to public events and activities, placemaking affords opportunities for people to engage in their cities in new ways. It’s not just about filling a space with people, of course. It’s about connecting people with one another. That’s what turns space into place. 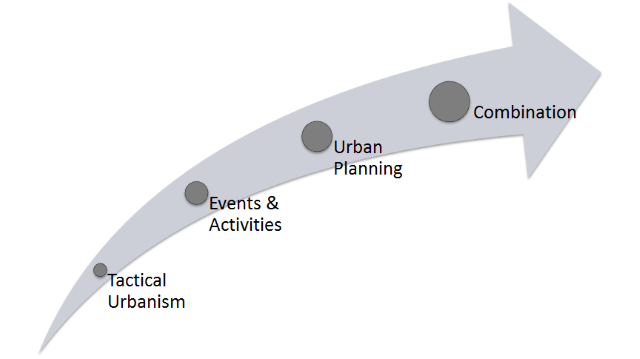 Tactical Urbanism refers to the simple, often temporary things that can be done to create a sense of place. Things like temporary art or adding seating to an empty sidewalk. Events & Activities are a little more involved and tend to be larger initiatives but again are often temporary. Things like What the Truck?! or #yegsnowfight are good examples. Urban Planning is the most permanent form of placemaking, encompassing everything from streetscaping to neighbourhood development. And of course there can be combinations of these things. Place matters for a variety of reasons. We all crave community and that doesn’t come from space alone. Placemaking can be a useful tool to connect us with our neighbours. It can also help us respond to context, such as crime or weather. Would you rather walk down a dark alley or a well-lit, busy one? In the shoulder season, are you willing to brave the patio on your own or would a blanket and a heater help? These are some examples of the impact that placemaking can have. Another impact of course is on the bottom line – we like to linger and spend time in places that fill us with emotion and connection, and the businesses in those places usually benefit as a result. Here are some of the examples we showed during the presentation. What the Truck?! 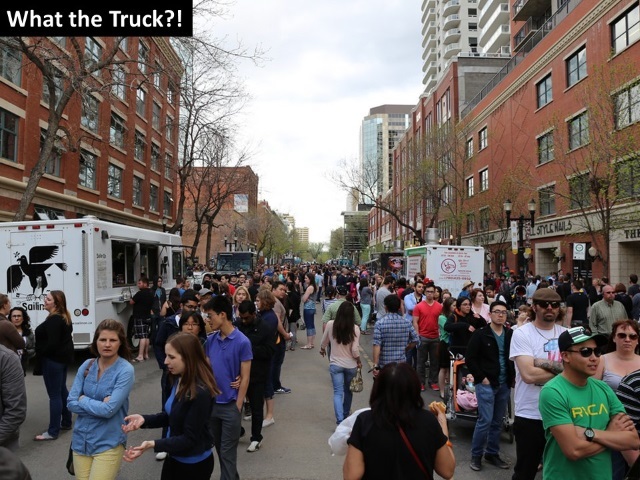 is a series of food truck events that is a good example of the “Events & Activities” approach to placemaking. The events only last 4-5 hours, but they happen in different locations and get people out on the street experiencing their city from a different perspective. 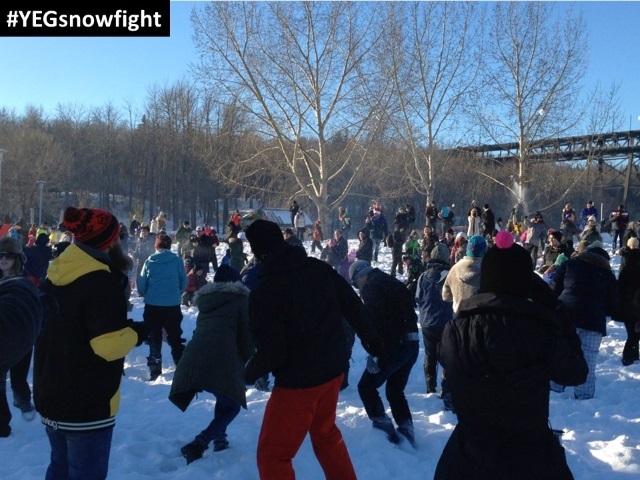 The #yegsnowfight that took place at Kinsmen is a great example of an event that brought people together and got them to experience a space in a completely different way than they would normally. And as a winter city, how fitting is a snowball fight?! 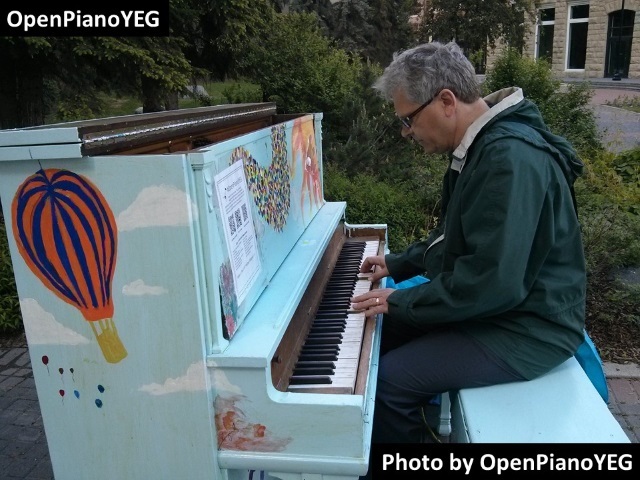 OpenPianoYEG is an awesome example of a public art project. Anyone can sit down at one of the colorful pianos and start playing. 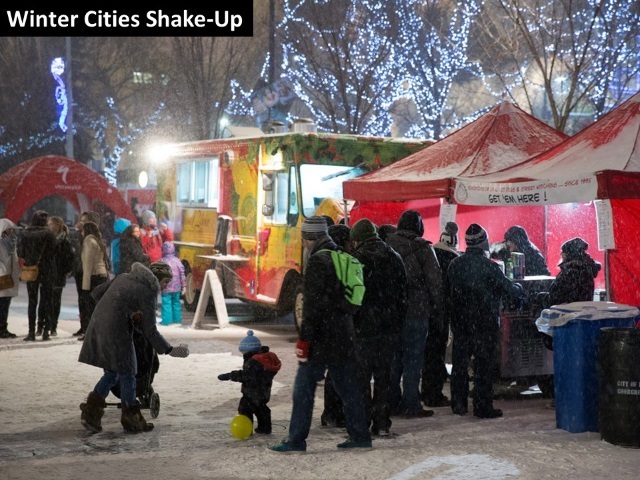 The Winter Market that was held in Churchill Square is another good example of an event approach to placemaking. We talked a bit about some of the other things WinterCity has done too. 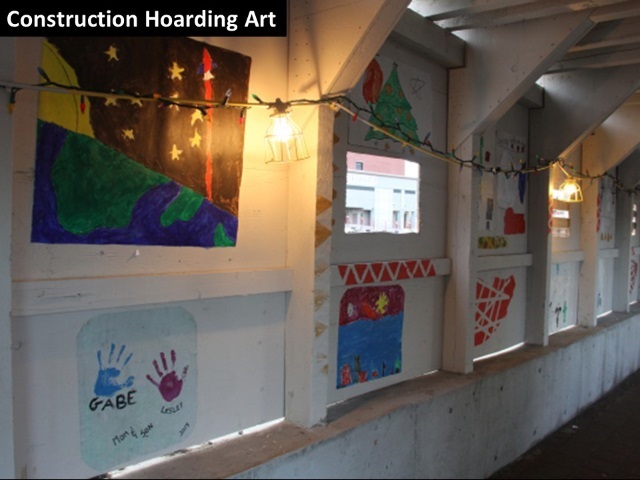 Have you seen the construction hoarding art along the Mayfair Village development at Jasper and 109 Street? BGCBigs worked with the developer to make this happen. It turns what could be an unfriendly and even scary space into a welcoming one. 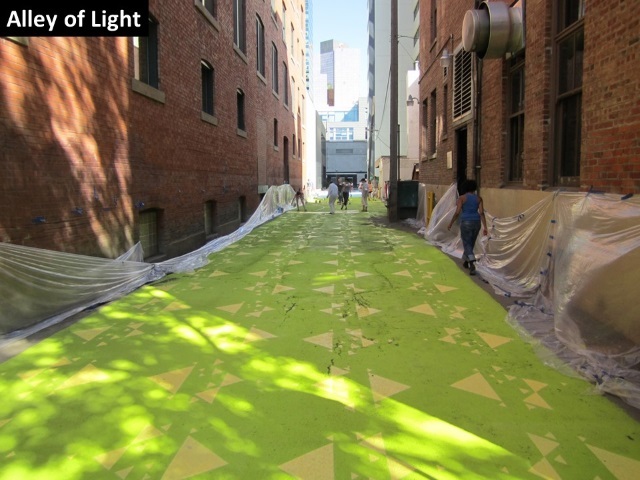 I love the Alley of Light example because over the years it has used all of the placemaking approaches. Tactical projects like painting the roadway got people talking and resulted in more people using the alley. Events brought people into the alley and enlivened the pocket park. And most recently, the pocket park was redeveloped with new surfacing, landscaping, and amenities. And that’s just a small handful! Jeff and I had a lot of fun putting the presentation together, and we enjoyed hearing about the audience’s favorite places too. We know there are lots of Edmontonians with ideas about place and we hope that by highlighting even just a few examples we can inspire them to become placemakers. There are lots of organizations and resources out there to help too, like Make Something Edmonton, CITYlab, and many more. Thanks to Jodi and Stuart for organizing the event today and for having Jeff and I as speakers and thanks to everyone who attended! What’s your favorite place? 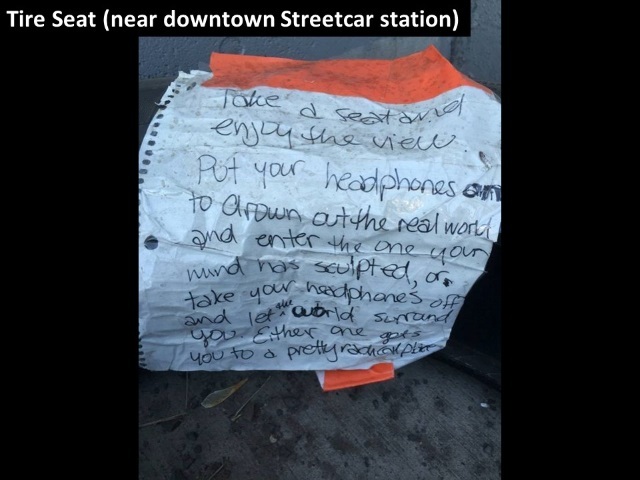 Have a placemaking idea of your own? I’d love to hear it!